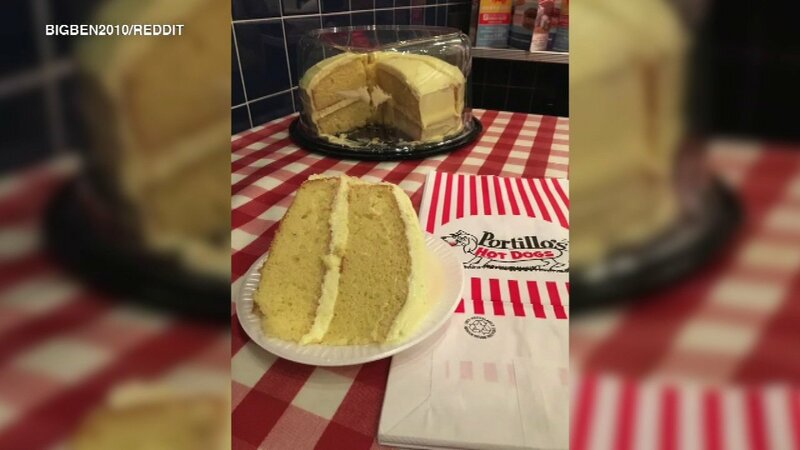 CHICAGO (WLS) -- Portillo's just made a Chicago native's dessert dreams come true. This all started about a month ago. A man said he fondly remembers eating a lemon cake at Portillo's when he was a kid, but the cake disappeared from the menu about five years ago. So he posted to Reddit, offering $300 to anyone who could get him one of those cakes. It quickly went viral, with other people sharing their memories of the treat. Portillo's just came through. They baked a lemon cake just for him, free of charge. But the man isn't stopping. He started and online petition to have Portillo's put the lemon cake back on the menu.